One of the elements that makes Fusion at South Bay such a great community is the award winning Wiseburn School District. 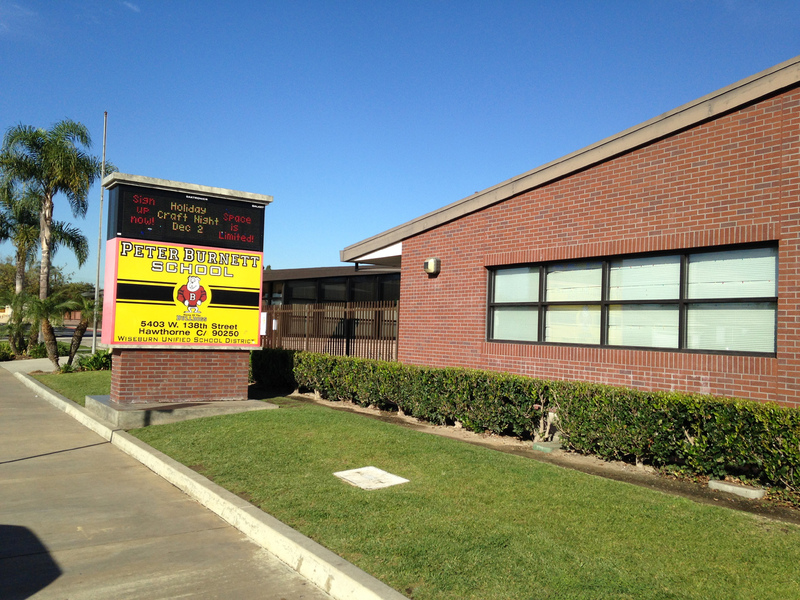 Although located in the city of Hawthorne, Hollyglen residents attend this award winning school system. One of the main concerns residents have had over the years is the lack of a local high school. 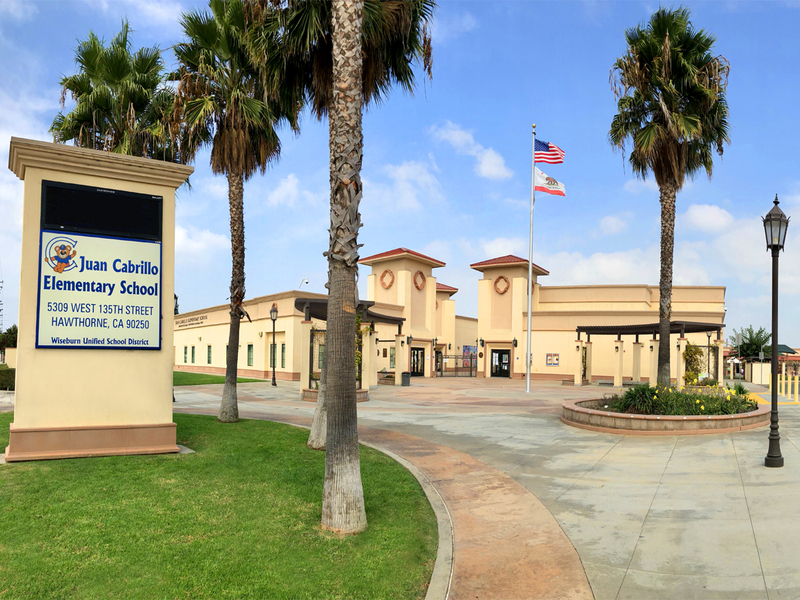 Students that graduated from the local middle school were often then enrolled in the Centinela Valley district. As of 2015 a bond measure was passed for the construction of a local high school that will be located in nearby El Segundo. The Wiseburn Unified School District is a small public school system in the El Segundo/west Hawthorne area that serves the Wiseburn communities of Del Aire, Hollyglen, and Wiseburn. The Wiseburn Unified School District has entered into a partnership with the Da Vinci Charter Schools since 2009. These independent charter schools were locally created to provide a high school option for Wiseburn students. As mentioned above, in 2015 a bond measure was passed allowing for the construction of the Wiseburn High School campus that would house the three separate Da Vinci Charter Schools. As the Wiseburn district is hightly sought after the district has boundary requirements for local residents. The district boundaries are roughly Sepulveda Boulevard on the west, Marine Avenue on the south, Imperial Highway on the north, and Inglewood Avenue on the east. **Please note that we are providing the following for information only and cannot guarantee eligibility to the district. Please consult with the district offices to determine residency restrictions and elegibility for the district. South of Imperial Highway to W. 127th Place, street numbers start with 5000 on all east-west streets between Aviation Boulevard and Felton Avenue. Only the west side of Felton Avenue between Imperial Highway and W. 121st Street, but both sides of Felton Avenue south of W. 121st Street. Avaire South Bay Apartments on 11622 Aviation Boulevard with a 90304 zip code. The apartment complex on 5211 Pacific Concourse Drive and 11775 La Cienega Boulevard, both with a 90045 zip code. ThreeSixty at South Bay homes on the corner of Aviation Boulevard and El Segundo Boulevard. The eastside of the 405 Fwy – South of El Segundo Boulevard to W. 138th Street, numbers start with 4800 and end with 5199 between La Cienega Boulevard and Inglewood Avenue. Only the west side of Inglewood Avenue between El Segundo Boulevard and W. 138thStreet. 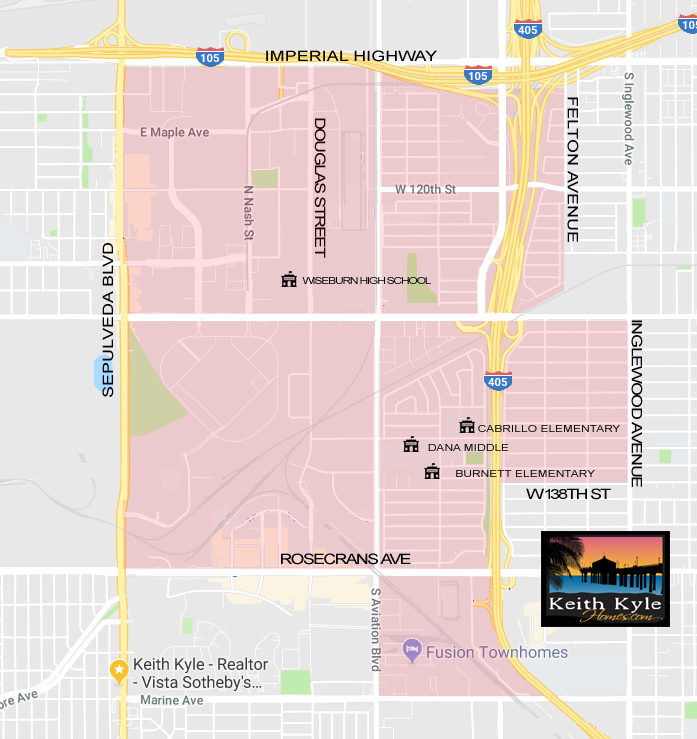 (Please note, that the following are not in the Wiseburn District: houses numbered 4800-5199 on W. 139th Street to Rosecrans Avenue, as well as numbers higher than 13811 on La Cienega Boulevard, Oceangate Avenue, Shoup Avenue, and Inglewood Avenue. These homes belong to the Lawndale School District). The westside of the 405 Fwy – South of El Segundo Boulevard to Rosecrans Avenue numbers run from 5236-5550 and 13300-14100. The condominiums on Marine Avenue, numbered 5401-5497, Units A & B, south of Rosecrans Avenue. Fusion at South Bay homes on Aviation between Marine Avenue and Rosecrans Avenue. The northern and southern boundaries west of Aviation Boulevard are Imperial Highway and Rosecrans, respectively with Sepulveda. 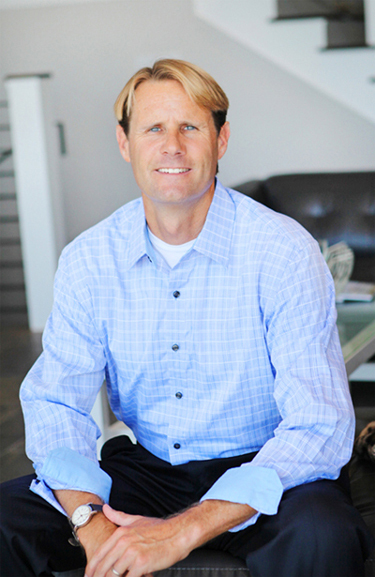 The area is part of the City of El Segundo and is mostly commercial space. **This information is provided for refererence and we make no assurances that the homes above are in the Wiseburn District. Please consult with the school district for to confirm residency status and whether the homes are in the district boundaries. For more information visit the Wiseburn District Website and school boundary page.